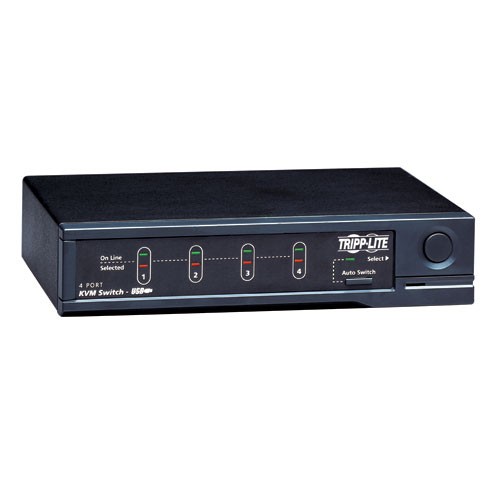 Tripp Lite's 4-port Desktop USB KVM Switch is the optimal solution for controlling up to 4 USB computers from one keyboard, mouse, and monitor. 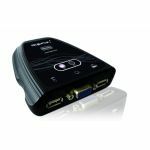 It features keyboard and mouse emulation for error-free boot-ups and works on all operating systems. This device also supports 180MHz video resolutions up to 1920 x 1440 pixels without any noticeable degradation. 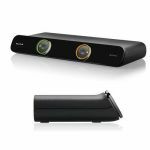 It features a compact design that does not require external power, software, or complicated set-up procedures. -Control up to 4 USB computers from a single keyboard, mouse and monitor. -Console Ports: HD15 Female (Monitor) and 2 USB A Female (Keyboard/Mouse). -Computer Ports: 4 HD15 Male (Monitor) and 4 USB B Female (Dual Keyboard/Mouse). 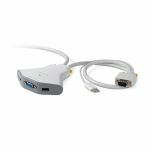 -Includes 2 USB A Female ports for sharing of USB peripherals between connected computers. -2 LEDs per port; one indicates when the computer is connected & on, the other indicates when the computer has been selected. -Supports 180MHz video resolutions up to 1920 x 1440. 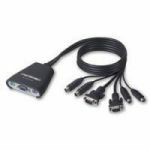 -Supports VGA, SVGA, or Multisync monitors. -Does not require external power, software, or complicated set-up procedures. -Select a computer via front panel push-buttons. -Keyboard and mouse emulation for dependable computer boot-up. -Compatible with all operating systems. -Compatibile with most mice; including scroll mice. -Small Office/Home Office (SOHO). Control up to 4 USB computers from a single keyboard, mouse, and monitor. 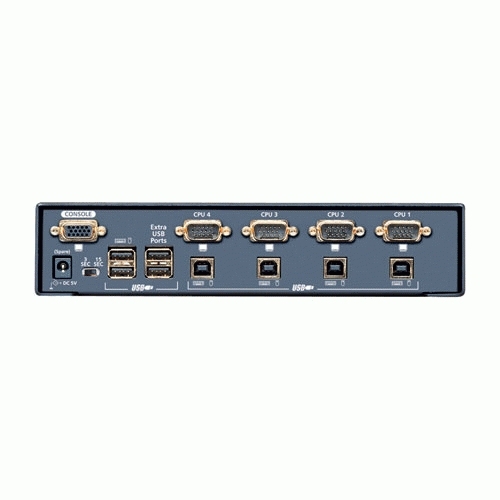 -B006-004-R 4-port USB KVM Switch. -Instruction manual with warranty information.